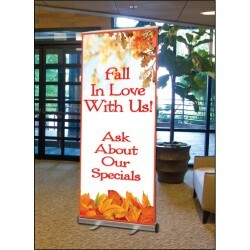 Finally a good, affordable retractable banner display. Equipped with the basic and well tested functions of a retractable banner stand, but with a more simple and low weight construction compared with the more expensive units. Each display comes with snap-lock top rail, two swivel out feet, three piece bungee corded pole, protective endcaps in durable plastic and a padded carrying case. 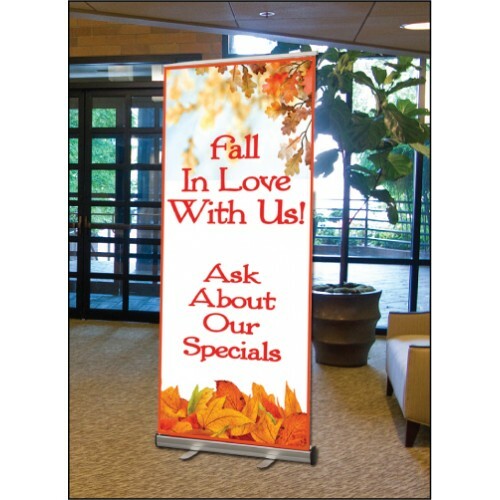 The Affordable Retractable uses a 33.45" x 79.5" visible area display banner. We can adapt any of our standard designs to fit this unit. But we can also make your custom display banner. A nice display at a good price.